"They made these rooms for us"
Escape rooms are all the rage right now. You and your mates get locked in a room and have to find a way to get out, or 'escape'. Previously this was known as a lock-in, and the only way to escape was to drink enough to magically appear in your bed the next morning next to a half-eaten bag of chips. The concept has now been turned into a feature film, cleverly entitled Escape Room, but it's a lot darker than the one previously mentioned. Six strangers enter the aforementioned room of escape, with the promise that the first to escape will win $1,000,000. Things take a turn for the grisly, however, as it is revealed that the room is less escape-y and more kill-y. The movie appears to riff on the ideas brought up in the Saw franchise - people dying in horrible ways for no apparent reason - and the 1997 cult horror Cube, where a bunch of people stuck in a murderous cube try to get out without being killed by traps. 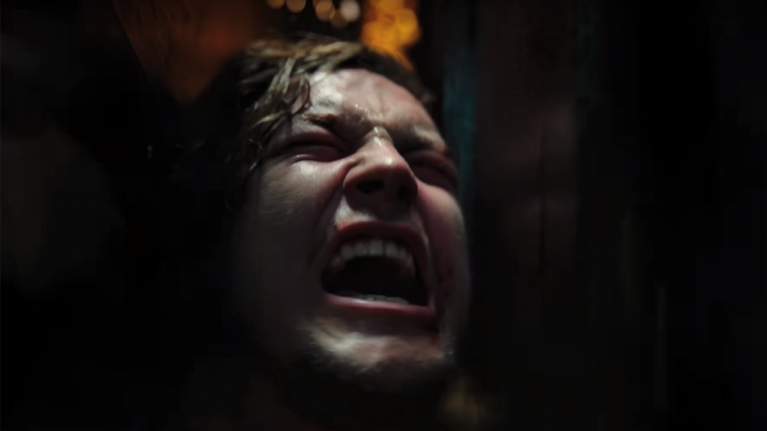 Escape Rooms stars Logan Miller, Deborah Ann Woll, Taylor Russell, Tyler Labine, Jay Ellis, and Nik Dodani, and is directed by Adam Robitel, who directed 2018's Insidious: The Last Key. The movie is currently slated for a 4 January 2019 release in the US. An Irish release date is expected to follow soon.